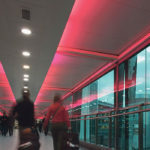 Business and Industry Today is extremely pleased to present QE Global as its selected LED Lighting Specialist of Year due to their dedication to provide exceptional quality, highly efficient LED technology to customers around the globe. In early 2014, following successful lighting upgrades to 38 trade counters, QE Global Ltd was invited to create a proposal to upgrade the inefficient lighting for its client’s main distribution centre in Melmerby, Cumbria to a more environmentally friendly & cost-effective LED solution. Glow Lighting is a new company focusing on British made, beautiful lighting.